Champagne Pools on the coast of Fraser Island Australia. 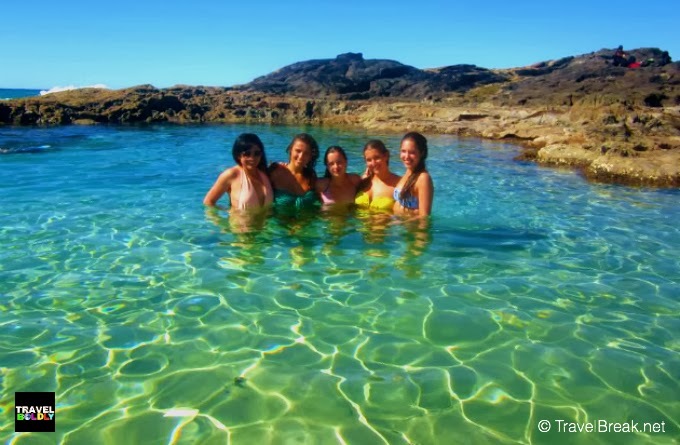 Pictured (l-r) are author Stephanie and European au pair friends: Besa, Jasmine, Luisa, and Anne. UCLA graduate Stephanie Be made a bold move and traded a career with her “dream” live entertainment company in Los Angeles for a one way ticket to Sydney, Australia where she didn’t have any occupational offers, and where she didn’t know anyone. Four jobs and eight months later, she joined four German Au Pairs on a 1700 mile / 2700 kilometer road trip from Sydney to Cairns. Our road trip begins with a nine-hour drive to Byron’s Bay for a one night stay. The next day we drive four hours to Hervey Bay to join Wicked Travel, a Gen-Y tour operator that organizes camping excursions on Fraser Island. 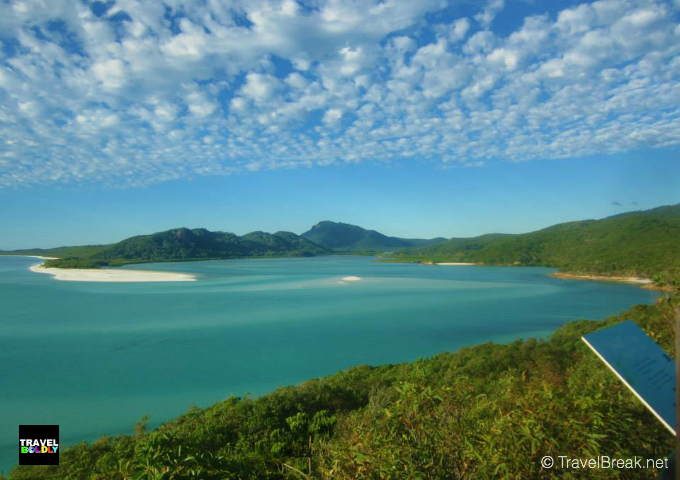 Queensland, Australia's Sunshine State, has strict policies that protect their lakes and beaches. 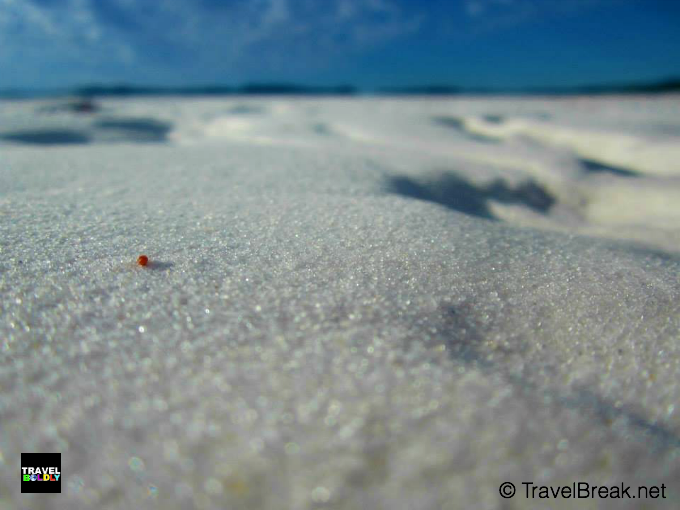 Fraser Island, a World Heritage Site, does not disappoint! The white sand and clear waters perfectly mirror the blues of the sky, greens of the trees, and pinks of the sunrises and sunsets. The whitest sand you’ll see. Four white jeeps of travelers caravan around the island from lake to beach. There is only one shop, and the exclusivity to our group made for a surreally remote experience. Our “Fraser Family” is awesome. Mostly German, English, and Canadian, we quickly bond. Our time on Fraser Island seems like far more than a few days. The backpacker appeal creates a community of unity. Everyone looks out for each other, and the selflessness is inspiring. Lake Wabby is part of Great Sandy National Park, and after a short hike we are met by a massive sand dune. A photo would deceive you into believing that we are in the Sahara Dessert. The Champagne Pools are my favorite. By far the most royal beach/ pool I've encountered (and I’ve been around the world.) Next stop is Indian's Head, a cliff that overlooks Happy Valley's majestic beach. We can see shark shadows among the deep blue waters. 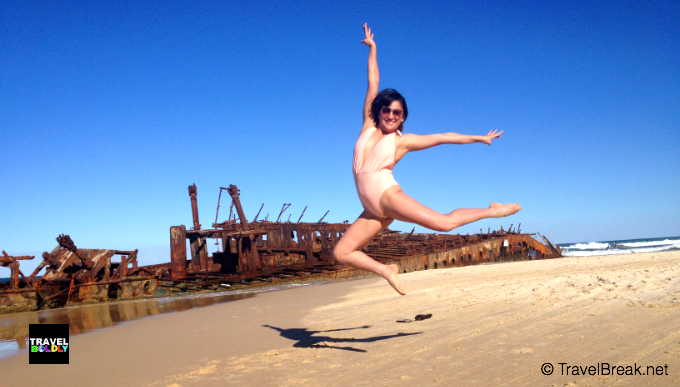 The Maheno Shipwreck is an iconic spot for some playful photos and a history lesson. Lake Mackenzie proves to be useful for sand baths and massages. The girls and I scrub our bodies and hair in white sand. Smooth results! In between our sun-baths and lakeside naps, we camp out along the beach. Yes, we slept in tents. It is worth it. And, I drink The Goon, AKA boxed/bagged wine. So much for "life is too short to drink bad wine.” I guess life is too short to limit the possibilities. Leaving Hervey Bay, we drive Northwest 10 hours to Airlie Beach, the base for our next adventure. With a quick jog, Anne and I see the town: beach, shops, lagoon and marina. The town is clearly created for tourists and travelers. The nightlife allows for epic moments. I wonder how we will get by on sleepless nights. Early the next morning, we embark on Avatar, a former race boat turned sail boat, for our Whitsunday Islands tour. The skipper and deck-hand looking like modern pirates, greet us. We set off and make our way through the fog. After snorkeling and sun-bathing, I close the day with wine on my lips, Sublime in my ears, and a serene sunset in my eyes. After dark we dance on deck, play ring of fire (Kings Cup a la British/Canadian twist.) A few rounds into the game some unnamed friends learn to "booty shake.” We welcome the sunrise as a group and make our way to the silica sand beach of White Haven National Park. 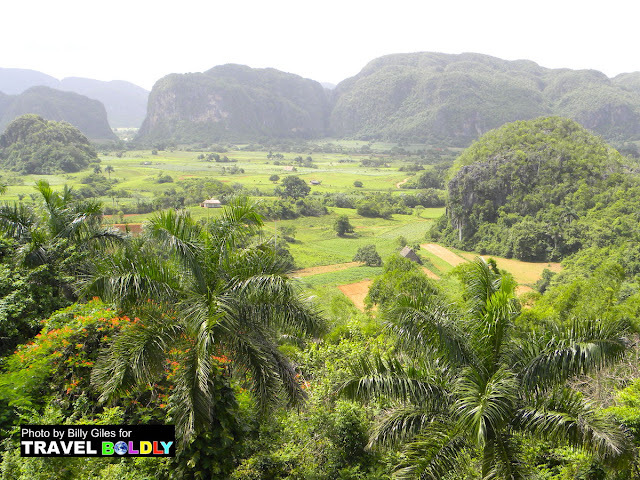 We took in the geographic greatness and infuse it with the Fraser Family liveliness! 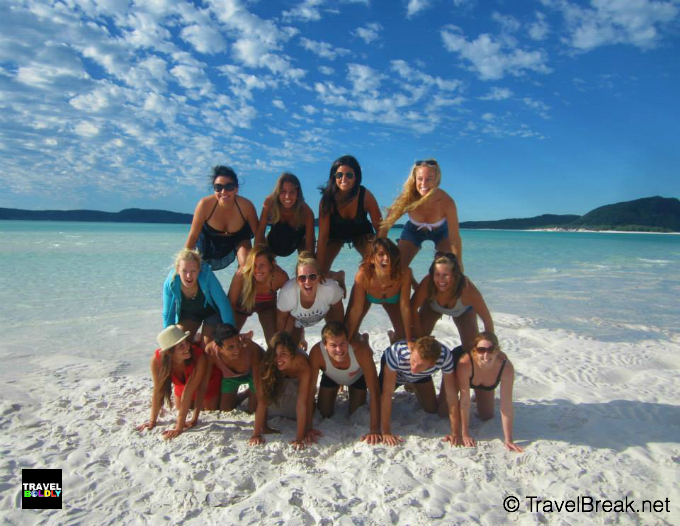 A pyramid of friends and many cheeky photos only mildly portray how incredible we feel as we experience White Haven National Park. With positive vibes, we go for another round of snorkeling. 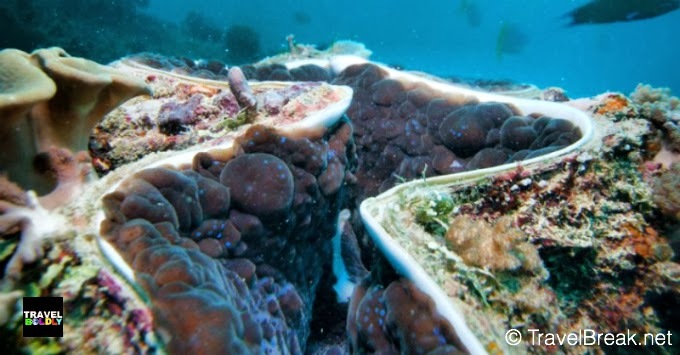 FYI: coral is alive and it moves. The captain teaches us about sea cucumbers and the British guys teach us (or try to teach us) how to play rugby. Wicked Travel Australia group fun. Back on board, we raise the sail - by "we" I mean I cheer them on and take lots of pictures. The sun is setting as the bright moon rises. After a hearty "home-cooked" dinner by the Chef (Oh dear gluttony, how worth it you are), we snuggle up. Food-coma-ridden, we lay out on the deck star gazing. I see a shooting star. Dave drunkenly decides to organize a "magical moment" and has the whole boat in silence and solace by playing “Build a Home” by Cinematic Orchestra. The next morning we realize we have only been together a couple days yet because of the accelerated bonds built by our mutual travel experience, it seems like so much longer. Aside from the romanticized reality, I am grateful to have met a special person onboard Avatar. I made the choice to travel while most of my peers are focusing on their professional careers. During this trip, I had the honor of meeting a new friend from New York. She is just a couple years older than myself and had worked for a PR company. She had also stepped away from her job to travel. She seems really happy with her decision and I am happy with my decision, too. It is nice that there are others in the same boat as you, both literally and figuratively.